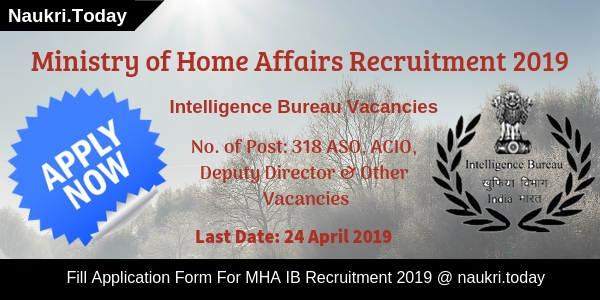 MHA IB Recruitment 2019 – Intelligence Bureau Department has released notification for recruiting candidates on Deputy Director, Senior Accounts Officer, Senior Research officer, ACIO, ASO, and Other Vacancies. There is 318 Vacancies are available for Intelligence Bureau Vacancy 2019. The Registration process will take place through offline mode. Candidates may fill up their application form send it to the given address before 24 April 2019. The MHA IB Application Form is available at the official website from 23 February 2019. Candidates who have relevant experience as per posts requirement may download an application form from here. 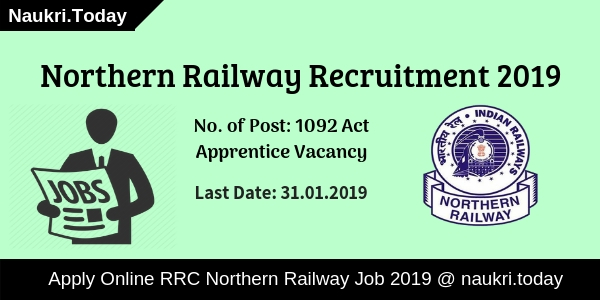 Fresh Update as on 28.03.2019: Hello Friends, MHA IB Recruitment 2019 is provided for 318 ASO, ACO, & Other Vacancies. Participants should check eligibility criteria from here. Interested and Eligible aspirants may apply onlye for MHA IB Recruitment 2019 before the last date. The Registration will be closaed on 24 April 2019. Fresh Update as on 11.03.2019: Dear Participants, Ministry of Home Affairs has issued notification for 318 Vacancies. Candidates may apply online for MHA IB Recruitment 2019 from here. Before applying candidates should check eligibility criteria for MHA IB Jobs 2019. For more details stay connected with us. Fresh Update as on 06.03.2019: Hello Friends, Do you want to apply for MHA IB Recruitment 2019? If yes then you can apply from here. Before applying applicants must check eligibility criteria from here. Participants must submit their forms till 24.04.2019. How I Check Eligibility Criteria For MHA IB Recruitment 2017 For ACIO II Vacancy ? How Much Pay Scale will paid for MHA IB Jobs, Intelligence Bureau ACIO Salary ? Degree and Diploma in any relevant subject from any recognize university of Government. minimum 2 years of regular working experience. 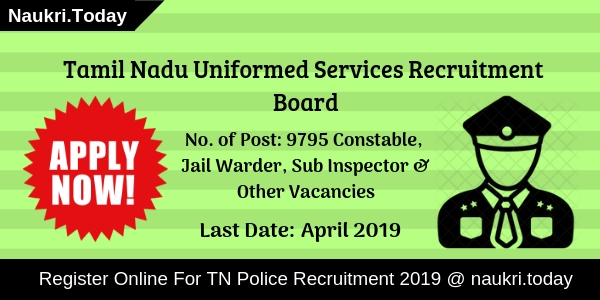 For more details aspirants may refer to the Intelligence Bureau Notification 2019. What Is The Pay Scale For MHA IB ACIO Vacancy 2019? The Intelligence Bureau department will pay a good amount of salary to the selected candidates for MHA IB Jobs 2019. Here we gave you a table which consists of details regarding Pay Band. Candidates should log on to the official website of Ministry of Home Affair i.e mha.gov.in. After that click on Notification option given at the Homepage. Now Vacancies Advt. page will open on your computer screen. Read MHA IB Recruitment PDF carefully and check eligibility criteria. Eligible candidates may fill up their application form. Applicants may send their application form at the given below address. Joint Deputy Director/G. Intelligence Bureau, Ministry of Home Affairs, 35 S.P. Marg, Bapu Dham, New Delhi-21 within 60 days. Conclusion: Ministry of Home Affairs has released notification for filling up 318 Various Vacancies. Candidates who are applying for MHA IB Recruitment 2019 should check here eligibility criteria details. Dear Applicants, Are you waiting for MHA IB Recruitment 2018? If Yes, There is a good news for you. Ministry of Home Affairs has published notification for recruiting applicants on 1054 Security Assistant (Executive) Vacancies. Interested Aspirants should check here qualification, age, and other details regarding IB Vacancy 2018. Online Registration for Security Assistant Posts has begun form 20.10.2018. Eligible Candidates may fill up their application form before the last date that is 10.11.2018. For further more information about MHA IB Jobs 2018 read below article carefully. Fresh Update as on 21.11.2018: Hello Friends, Ministry of Home Affairs has announced 20 Consultant Vacancies on a temporary basis. Online Registration for MHA IB Recruitment 2018 has started form 16 November 2018. A retired officer of any government Department can apply for MHA IB Vacancies. Interested participants may submit their application form within 30 days of issue of MHA IB Notification 2018. Applying candidates should be below 64 years old on the date of application. Selection of Applicants will take place on the basis of Interview only. Participants should send their application form at a given address: 17-A, North Block, Ministry of Home Affairs, Ground Floor, New Delhi-110001. Here we provided you links to download MHA IB Application form. Click Here For MHA IB Application Form and Eligibility Criteria details. Applicants should fill up all the details carefully in the application form for IB Recruitment 2018. Candidates who are going to apply for Security Assistant Posts may check here qualification, age, and application fee. Participants may download Official MHA IB Notification 2018 either from here or from the official website. The Department may require 10 Pass (Matriculation) or its equivalent from recognized university or Institution For MHA IB Recruitment 2018. Participants may have knowledge of Local Language to apply for IB Security Assistant Jobs 2018. Candidates will required field experience in the intelligence work for Intelligence Bureau Vacancy 2018. The Department will set 27 years as the maximum age for the applying candidates. Upper Age relaxation is applicable as per department rule. for further more information applicants should read Official MHA IB Notification 2018. Here we gave you a link to Apply Online For IB recruitment 2018. Participants of General and OBC Category should pay Rs. 50/- as an application fee for MHA IB Recruitment 2018. The Department will exempt the SC/ST category from the payment of application fee for IB Jobs 2018. Candidates can pay their examination fee through online mode as well as an offline mode for MHA IB Vacancy 2018. The Department will pay Rs. 5200/- to Rs. 20200/- with the Grade pay of Rs. 2000/- to the selected candidates for Intelligence Bureau Jobs 2018. Selected Candidates may also gain perks and facilities of serving in the department for Security Assistant Posts. For more information candidates should consult to official MHA IB Notification 2018. Candidates who register for MHA IB Jobs 2018 will appear for Tire I which is written an examination in nature. After that applicants who qualify ithe n examination will take part in Tire II & Tire III which is Interview Rounds. Candidates must prepared hard to grab IB Vacancy 2018. Here we gave you links to download IB Security Assistant Notification 2018. Candidates should check here eligibility criteria before apply for MHA IB Recruitment 2018. Participants may fill up their application form before last dates for Intelligence Bureau Jobs 2018. Follow these steps to easily apply for IB Recruitment 2018. Candidates should open official Website of Ministry of Home Affair i.e mha.gov.in. After that Search for Intelligence Bureau Recruitment section at the homepage. Eligible Applicants may apply online from links given here. Candidates may interest all the required details in application form. Now Re-check your MHA IB Recruitment Registration form. After that pay your application fee through your suitable mode. Now Click on the Submit button to save it. Conclusion: Ministry of Home Affair has issued notification for 1054 Security Assistant (Executive) Vacancies. Candidates who are interested in MHA IB Recruitment may apply online from links given here. For more details read the above article carefully. Ministry of Home Affairs is inviting online application form for Recruitment candidates on 1300 Vacancy under Intelligence Bureau Department. There are 1300 Assistant Central Intelligence Officer Grade II/ Executive Vacancies. Applicants who are interested in MHA IB Recruitment 2017 can fill online application for Executive Jobs from here. You can submit your Online form for IB ACIO Vacancy on or before the closing date that is 02nd September 2017. More information about Intelligence Bureau Recruitment 2017 like Eligibility Criteria, Pay Scale etc. you can get from below article. About Department : – IB is also known as Intelligence Bureau. It is resettle as Central Intelligence Bureau in 1947 under Ministry of Home Affairs. Headquarter of Intelligence Bureau is located in New Delhi. Now the Department has issued recruitment Advertisement of 1300 IB ACIO II Vacancy. Applicants can fill online form for Intelligence Bureau Jobs 2017 from 12.08.2017. Rest information about IB Vacancy, you can read from below section. What is the Important Dates Intelligence Bureau Recruitment 2017 ? Candidates must have done Graduation Degree in any stream or any equivalent from any recognized University. Applicants must have knowledge of Computer for IB Vacancy 2017. Minimum age of the candidates for IB Recruitment 2017 – 18 should be 18 years & Upper age must be 27 years. relaxation in age for Intelligence Bureau vacancies is applicable up to 05 years for SC/ST Category & 03 years for OBC Category candidates . Selected candidates for IB Vacancy 2017 will paid pay band according to 7th CPC. After joining candidates will paid Rs. 9,300/- to 34,800/- with grade pay of Rs. 4,200/- + Other Allowances for Intelligence Bureau ACIO Recruitment 2017. Male Candidates who are belonging from General/OBC Category must paid Rs. 100/- as application fee for IB Recruitment 2017. Other Category candidates of SC/ST/Females of all category need not to pay any application fee for filling form for Intelligence Bureau Recruitment 2017. First of all, candidates Call for Tier 1 Examination. Exam will contain 100 Question of total 100 marks. Total time duration of exam will be 60 minutes. 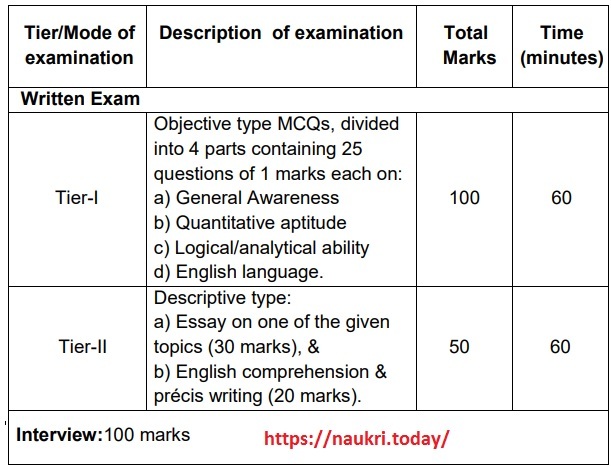 Candidates should get minimum 33% marks for qualifying the Examination. After that selected candidates call for Tier 2 Exam. Pattern of Tier 1 & 2 Exam is shown below. Final Selection of the candidates will made after Interview Round. Inter view will be of total 100 Marks. For more details about Exam Procedure & Admit Card you can check from here. Keep in touch with this page for more updates. First if all candidates log on to the official website www.mha.nic.in. Now click on Vacancy Section & Click on Official Intelligence Bureau Jobs Notification link. Read all the details from notification properly. If you are eligible then click on Apply IB Jobs Online Form link & Click on Proceed button. Make all the information in form without any mistake. Recheck all details before submission,. Now deposit application fee if Required. Click on submit online form for IB Vacancies. Note down ID & Password fro future use. Conclusion : MHA IB Recruitment 2017 – 18 For 1300 ACIO II/ Executive Vacancies. Candidates can fill online form for Intelligence Bureau Recruitment 2017 on or before the last date, that is 02.09.2017. MHA IB Recruitment 2016 : Ministry of Home Affairs has recently released notification for recruitment of 320 Junior Intelligence Officer (Technical) Grade II Post. Candidates who are looking for Intelligence Bureau Vacancy 2016 should apply application form through online mode. You can apply Ministry of Home Affair Intelligence Officer Vacancy application form before the closing date 24.09.2016. Check full details which is mentioned below. About Department : Home Minister of MHA is Shri Rajnath Singh. Various department works under MHA in which Border Management, Internal Security, J & K Affairs, Department of Home & Department of State. Ministry of Home Affairs recently released Vacancy in Intelligence Bureau. You can check eligibility Condition & Other Details from here below details. MHA IB Vacancy 2016 Education Qualification : Candidates should have completed 12th/ 2 years Industrial Training Course in Radio Technician, electronics, Electronics & Communication or relevant trade. Applicants should also have done qualification from recognized university or institute for MHA IB Recruitment 2016. Age Limit for Intelligence Bureau Recruitment : Age of the candidates should be in between 18 years to 27 years for IB Grade 2 Officer Post. Age relaxation is applicable up to 05 years for SC/ST Category & 03 years for OBC Category candidates. Application Fee for Intelligence Bureau Vacancy 2016 : No need pay application fee IB Recruitment 2016 who belonging from SC/ST/Female candidates. Rs. 50/- should be paid by General/ OBC Category candidates for Ministry of Home Affairs Technical Officer Vacancy 2016. Intelligence Officer Vacancy in IB Pay Scale : Candidates will be paid Rs. 5,200/- to 20,200/- with grade pay Rs. 2,400/- for Junior Intelligence Officer in intelligence Bureau. The Technical examination for recruitment of Intelligence Officer Vacancy will be held in various cities in All Over India. Candidates firstly called for written examination. Written Test will contain 160 Marks & Time Duration will be 2 hours. After that shortlisted candidates will appear in Trade Test which is a type of Technical & Practical Exam. Recruitment Examination will be conduct in October 2016. Candidates can download admit card either from official website or from here. After that click on official Notification link & Read it properly. Fill all details correctly in form. Upload passport size Scanned photo & Signature in form. Recheck all entries filled in form & Deposit examination fee if required. MHA IB Recruitment 2016 for 320 Intelligence Officer Grade II Post. Candidates should apply application form online of Intelligence Bureau Vacancy on or before the last date 24.09.2016. Trade test mein kya poochta hai? ?